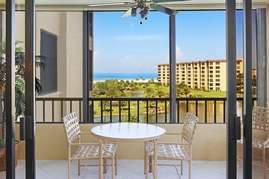 Gulf and Bay Club- B507 Great location! 2BR/2bath condo. Panoramic views of the Gulf of Mexico, Siesta Key Beach, tropical gardens, pools and sunsets. Lovely nighttime fountains and garden illumination. Tastefully appointed bright, open spacious interiors. 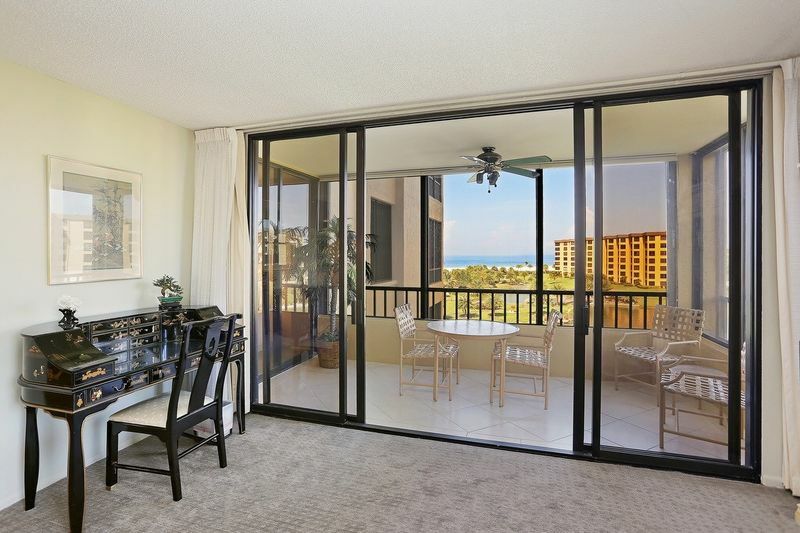 Inviting screened/glassed lanai for relaxation, entertaining and spectacular views. Large master bedroom opens to lanai and features a king bed and full bath with walk-in shower and grab bar. Guest room has 2 double beds, full bath with grab bar, 2 closets. Fully equipped, updated kitchen with eat-in area, plenty of counter and cabinet space plus a built-in serving bar adjoining an elegant dining area. Utility room has washer and dryer. There are 3 TV's, WIFI and covered parking. 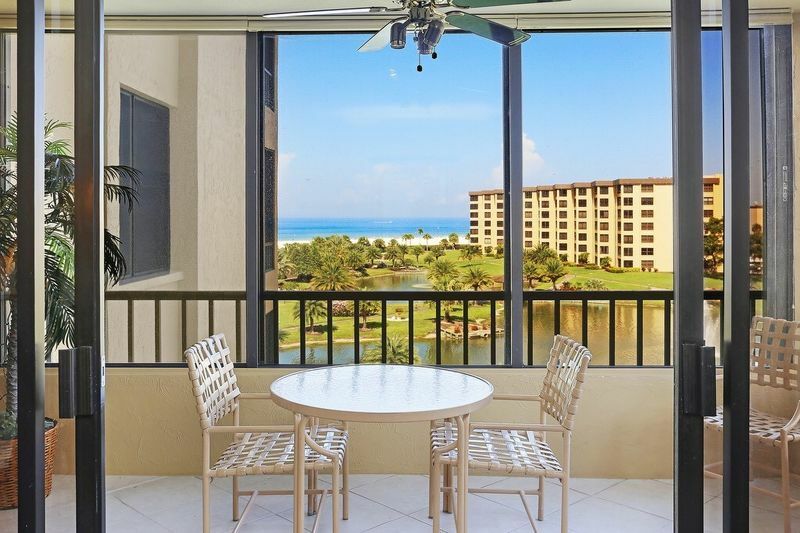 Full access to luxury resort amenities and steps away from the white sandy beach. Available for rental year round.